Nothing is quite so impressive as a wedding ceremony in a stunning location, so getting married at Victoria Falls has to be among the top destinations in the world. Located between Zimbabwe and Zambia, this waterfall is one of the 7 Natural Wonders of the World and forms a glorious background to a truly special day. The Victoria Falls Hotel is world famous and is the perfect place to spend a honeymoon break thanks to its many activities including guided game drives, microlight flights and sunset river cruises. For those who would prefer to marry in the heart of the city, Cairo is a fabulous choice with its backdrop of the beautiful River Nile. One of the finest city venues is the Ferme de Plein Air’s exotic garden which brings to mind a desert oasis thanks to its Egyptian plants and verdant palm trees. What could be more romantic than a wedding surrounded by the glory of nature? A ceremony held at the Masai Mara national park is completely unique and is certain to result in an unforgettable occasion. Kenya’s top wildlife conservation centre is known all over the world for its savannah plains, breadth of animal life and luxurious lodges, making it a perfect place to hold a memorable wedding day. 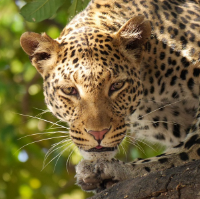 For something a little more off the beaten track, Botswana’s Moremi Wildlife Reserve is another wonderful location for a safari wedding, within easy reach of the world’s largest inland delta, vast deserts, savannahs and grasslands where the Big 5 roam freely. For a wedding in a beautiful national park, Madagascar’s Montagne d’Ambre park is the ideal choice. Extending across a volcanic massif, this amazing location in the north of the island is in the heart of waterfalls, rainforest and crater lakes – a striking setting for a spectacular day. Alternatively, Namibia’s Namib Desert is an unusual yet beautiful place to tie the knot. In a country with 300 days of sunshine per year, couples can enjoy amazing honeymoon adventures such as horse riding, canoeing and river rafting after their memorable sunset ceremony in the Etosha National Park surrounded by the striking savannah and diverse wildlife including rhinos, elephants and cheetahs.